Two suspects wearing hooded sweatshirts opened fired at a crowd Saturday night in New Orleans, killing three people and injuring three others, police said. 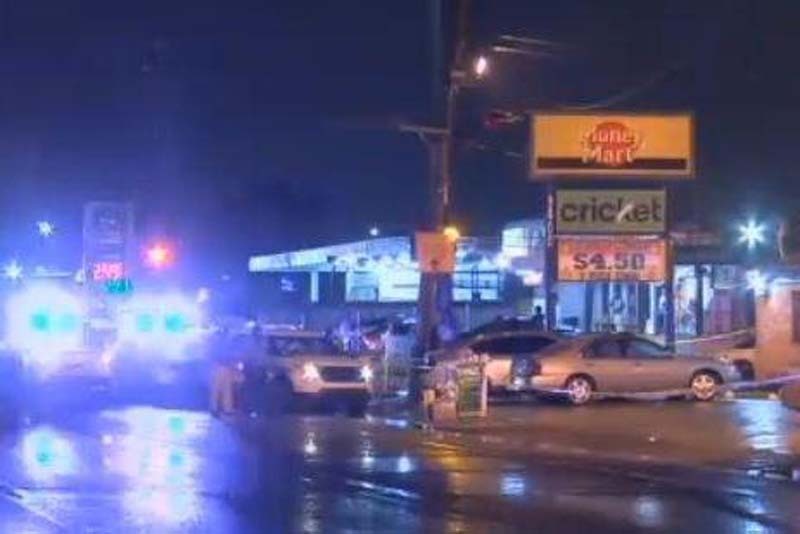 New Orleans Police Department Superintendent Michael Harrison told reporters at the scene shortly after midnight that people are on the loose after fleeing on foot. One appeared to have a rifle and the other used a handgun to shoot into a "large crowd" in front of a daiquiri shop, he said. [post_ads]"This has to be personal," Harrison said. "Firing indiscriminately into a crowd, shooting 10 people, killing three? It doesn't get more personal." He said they fired more than once at one person during the incident, which occurred around 8:30 p.m. about 3 miles from the French Quarter. The New Orleans Advocate reported the shooter targeted Jeremiah Lee ran across a street and into a large group of people before he fell in front of the Chicken & Watermelon eatery. He is believed to be an affiliate of the notorious 3NG street gang from Central City. Another man and woman were pronounced dead at the scene by paramedics. The seven wounded -- five men and two women -- were in "varying degrees of condition, some more critical than others," according to New Orleans EMS Director Dr. Emily Nichols. "A lot of people were here tonight," he said. "A lot of people saw and heard what happened," Harrison said in asking for assistance in solving the crime. Another shooting was reported late Saturday but Harrison said they were not sure if it was related to the earlier killings.